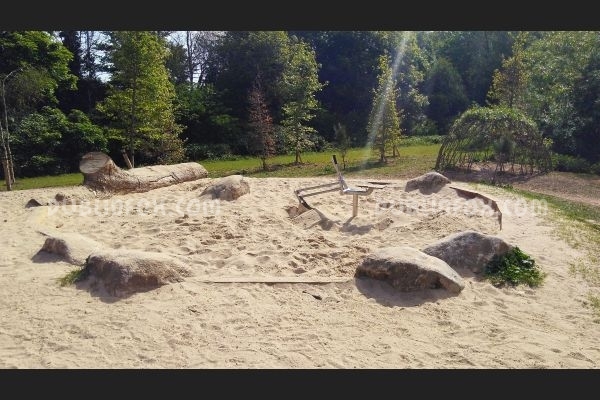 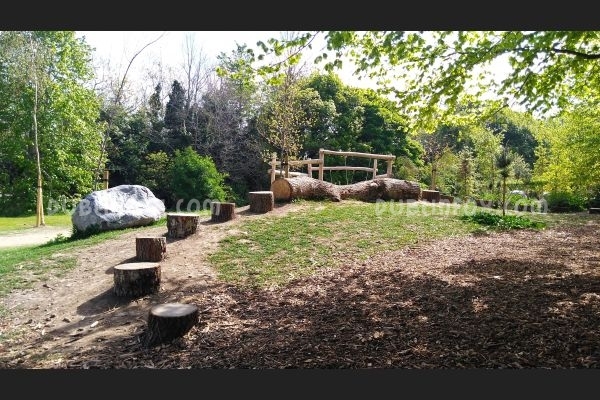 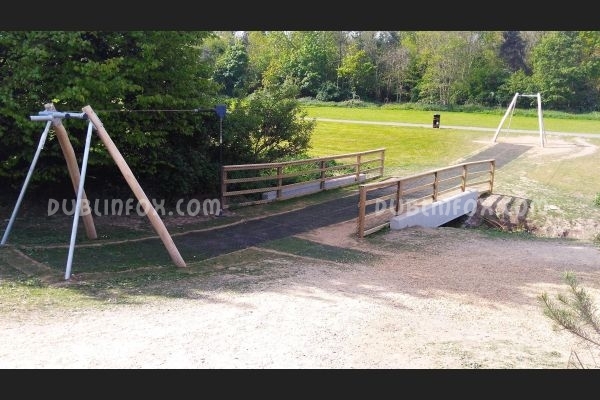 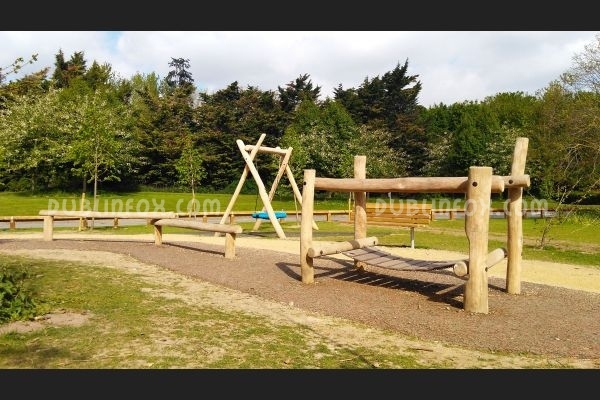 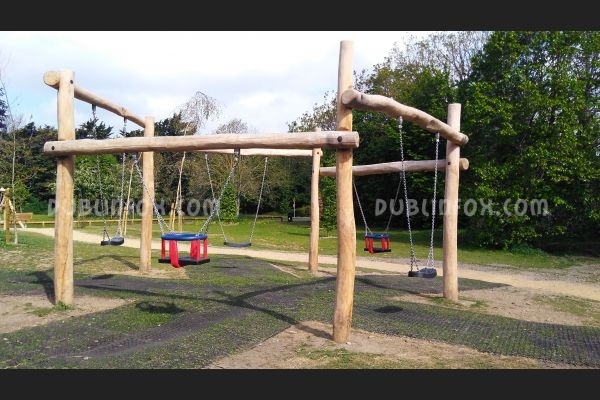 The newly refurbished playground in Tymon Park is exciting, modern and its atmosphere is very pure and natural. 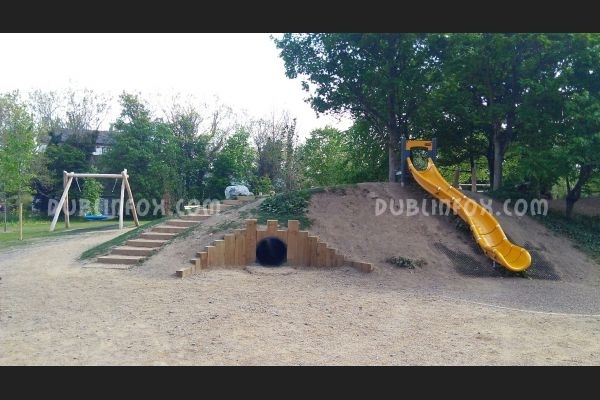 It is one of the few playgrounds in Dublin that has a sand pit (and a digger of course) and it has one of the coolest zip-lines. 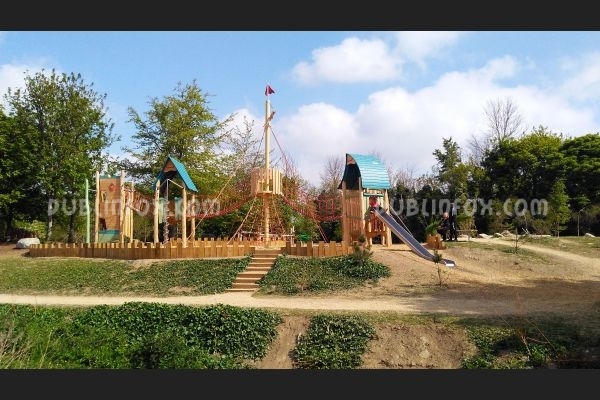 For toddlers there are different slides, a basket swing, some baby swings and a scary tunnel, whereas for older kids there are climbing and balancing units, a few swings and of course a giant multi-play unit. 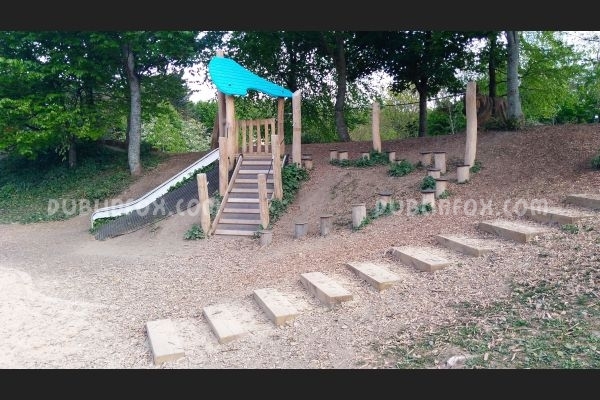 The junior and senior areas are not separated and unfortunately the playground itself is not fenced, either, which is a big minus. 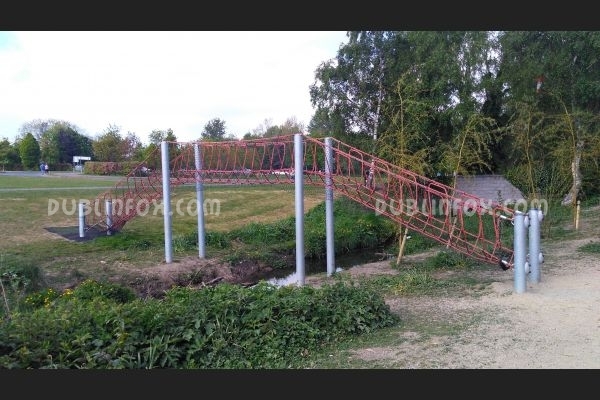 Toddlers have to be closely supervised in this playground as there are areas that might be dangerous to them (for example the bridge). 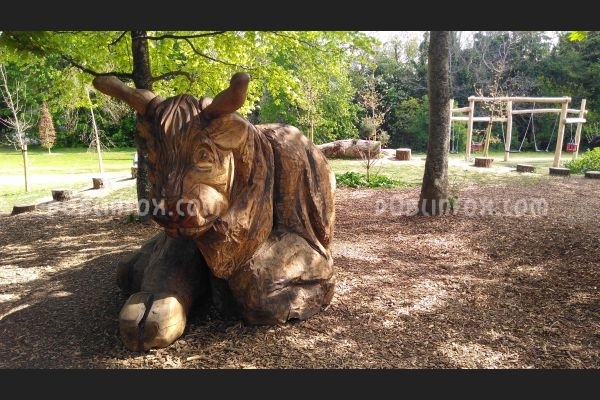 In the middle of the playground there is a big bull statue that is continuously watching the kids playing happily in one of the newest playgrounds in Dublin. 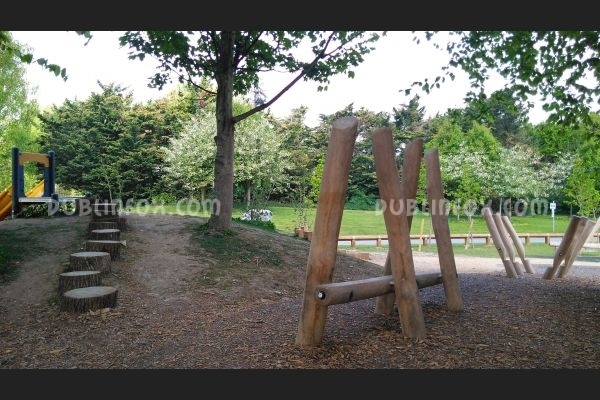 As regards parking, there is a big parking lot about 100 meters from the playground.